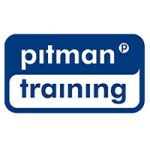 The Pitman Training MTA Networking Fundamentals course is designed to give those embarking on a career in the IT industry a basic understanding of the concept of networking. It is a great option if you want a job working within an IT support network or administrator role. The training will prepare you for the Microsoft exam 98-366 an entry-level credential from Microsoft. With this solid foundation, you ll be able to take the first step toward becoming a Microsoft Certified Technology Specialist (MCTS).